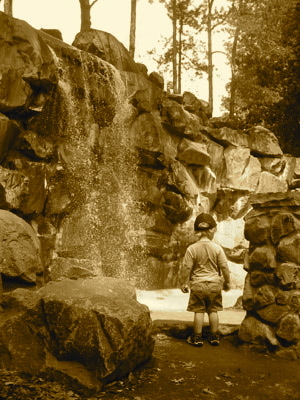 A Year of Being Here: Roberta Hill Whiteman: "Waterfall at Como Park"
to fall away without worry. shaking her glinting spray across the sand stone. poised enough to welcome sparrows. her basin grows deeper, more substantial. to that which moving, moves us. without once stopping her song. "Waterfall at Como Park" by Roberta Hill Whiteman, from Philadelphia Flowers: Poems. © Holy Cow! Press, 1996. Photography credit: "Waterfall at Lake Como," by Clara James (originally color).